Speaki­ng at a PTI organi­sed energy semina­r, says a long term strate­gy can resolv­e the energy crisis. ISLAMABAD: Pakistan Tehreek-e-Insaf (PTI), once in power, will end corruption in 19 days and terrorism in 90 days, said PTI Chairman Imran Khan on Sunday. Khan was speaking at a PTI organized energy seminar titled `Energy: From Crisis to Solutions’. Referring to the many crises faced by Pakistan, Khan said it was not necessary that a political leadership could not achieve what former president Pervez Musharraf had failed to accomplish, in terms of resolving the crises. Khan said that the energy crisis would need a long term strategy as it was very important for the smooth progress of the country. Khan said that for resolving the energy crisis there was a need to introduce autonomous bodies in this regard, reiterating that it was very important to resolve the energy crisis as it was affecting industries as well as people. Other present at the seminar included PTI leaders Jehangir Khan Tareen, Makhdoom Javed Hashmi, Dr Arif Alvi and energy experts. The seminar was part of an effort by PTI to suggest solutions for the ongoing energy crisis. Rasheed believed to target Javed Hashmi's empty seat in PML-N.
PTI chairman, at Umerkot rally, says the days of the tyrants are nearing the end. PML-N reject­s allega­tions. Says statem­ent made by PTI shows lack of knowle­dge regard­ing the amendm­ent. He says he will do it. For his critics Get some life dudes! IK please spell out how ??? 19 days….I guess a classic slip of tongue. Good of opportunists to put that in the headline rather than the other 99% of the event which was an eyeopener and very informative regarding the future energy security of the country. Imran Khan is a man of words. People should give him a chance to serve the country, as the other political parties have failed to deliver what people of Pakistan wanted. Keep it up Imran Khan! People of Pakistan are with you. Corruption in 19 days, Terrorism in 90 days, Boycott in split second. Beware! The cynics will rain upon these comments! Luckily for Pakistan, Imran khan is in the business of proving cynics wrong…. What’s with 19 days? Can’t it be 15 or 20 maybe? Zia after overthowing the civilian government promised free and fair elections in 90 days! Pakistan went on to have its darkest 11 years under that dictator. @ Mohammad Ali Siddiqui, Nobody has stopped Imran to contest elections, win majority and form a government, but unfortunately whenever occasion arises, he runs away from elections and if he contests, his supporters prefer to watch cricket match on TV then to go to polling stations. How can general public provide him support when his name is not on the ballot paper. If he had won ten out out ten seats in recently held bye elections, nobody including me would have dared to oppose him. I wonder what is yellow journalism….ET trying everything it can to malign Imran Khan. Atleast give PTI a credit to conduct such a seminar on Energy shortage in Pakistan, which is even a bigger issue than terrorism. At least PTI is bringing a Paradigm Shift in these dirty waters of Pakistani Politics. Good job IK keep it up and dont get bothered by these Pseudo intellectuals who call them selves ” The modern voice of Pakistani journalism”. would not depend on bureaucracy …then who would execute your policies Mr. Khan. ? Thank you for the laughs, Khan sahib. What a misleading title. It was a ENERGY SEMINAR and its 9 0 days. Has ET simply given up??? I keep saying, maybe he won’t be as effective as he claims. Maybe his party will be completely incompetent, however can’t we at least try something/someone different? I’m REALLY tired of seeing the same old recycled (and corrupt) politicians coming to power. Lets try something DIFFERENT for a change. A white lie with no solid grounds.I believe you can not deceive nation any more. There are zero ground realities in your words MR Khan. Since when naivety has become a virtue? This time not only Jemima Khan wants to see Imran Khan to be the next Prime Minister of Pakistan but the people of Pakistan are also after him for the change. Don’t worry, he is not going to run from the field as not only Jemima Khan but her two sons will also be going to the Election Commission Office when he will file his nomination papers in the forthcoming elections. As regards to bye elections are concerned, Imran Khan has already said in the print and electronic media that his political party PTI is not ready for the elections, even if the countrywide elections will be held before time. Chaudhry Sahib, please wait and see how things are going to change, for a better tomorrow and to get rid off from the people who raise fake slogans. The politicians of Pakistan cannot make the people fool any more. Enough is enough. This time only IMRAN KHAN’S PTI AND PAKISTAN will be ZINDABAD. Should i laugh or Cry on these statements??? Where there’s a will there is always a way – always. i saw the whole seminar he never said he will end corruption in 19 days. @ thewhigs, please let us know how we bring him to power? We don’t have guns and men to storm corridors of power and install him there. We have power of vote but he boycotts elections whenever time comes. As a cricketer he should know that he needs more than five (majority) wickets to lead the team out of ground. Commentators don’t lead the team. So far he is no more than a commentator. A very agressive and angry commentator, at the best. He forgot to mention that after achieving these two he will go on to win the world in 120 days! He definitely thinks that people are herd animals who cannot differentiate between an illusion and reality. Everyone placing their ‘doubts’ here and voicing their ‘prejudice’ including the author of this “web desk” piece, after a few years all these will be saying, we always knew they could do it…I was part of the change! Yes why not it can happen, people like Imran Khan who is a visionary leader and in a position to change the destiny of country with young,honest,hardworking,and wise youth. ordinary people always talk negatively, optimistic thinking makes the good things happen, need is continuous contentment and effort in any kind of difficult raise the aim and momentum of success. The direction of a leader and true commitment can divert the usefulness of resources in to true success. I have a vision for Imran Khan and people of Pakistan, while working and analysis in Pakistan Audit & Accounts Department that if the good ideas are practically implemented by the policy makers and people in power they can change the fate of country and it will directly benefit the all people. A vision of Developed Pakistan can be obtained by sincerity and true efforts towards uplifting the country….every body wishes to see Pakistan the prosperous country but few people work for it prosperity and many work for their own prosperity.then i can see the hope of light in shape of Imran Khan being a visionary leader who can change the fate and destiny of people of PAKISTAN…..AS PAKISTAN IS A LIVE NATION. [email protected] why u r so angry with ET, u better tell us if the report is wrong or wrong reporting. i think media is giving too much coverage to IK who lost all by elections in recent past and now boycotted election. some one posted link of a press release of PTI but newspaper is not bound to report press release only. Dear Imran Khan, please don’t make unrealistic promises and set yourself for failure. If you are elected, all you can do is select and bring together a honest capable management team around you. The claims you keep making can only come true if you become “The Dictator of Dictators” which people of Pakistan are fed up with or somehow throw 50% of Pakistan’s population jails or “Execute or Hang” 5% of the population that has created 95% of Pakistan problems. For these possibilities you are living in the wrong times. Time of Dictatorships or Monarchies is coming to an end. One Man shows are over. Rule of Masses is coming fast. Don’t set yourself up for a miserable failure. If Pakistan is run by the best team in the world, you can expect 65 years of gross mismanagement to be fixed in around 6-1/2 years. IK promises to end corruption in 19 days, terrorism in 90 days, illiteracy in 120 days, hunger in 150 days, poverty in 180 days. My vote is for this great visionary. Yeah its possible in few only days and is matter of sincerity. Imran, stop dreaming and talk some sense. My dad used to have a large bold saying on the wall behind his office desk “Impossibilities Done at Once – Miracles Take a Little Longer”. Dear IK, breaking up or destroying or bull dozing everything wrong in Pakistan first and then working to rebuild from start will take a 100 years. Working to slowly mold the negative energies in Pakistan to a positive direction is the only way I know how you can get maximum results from minimum effort. Having followed Anna’s anti-graft-movement in India so closely, and given the problems and human psyche in our part of the world; it would be a hard-call to expect the scourge of corruption to go away in 19 years, leave alone 19 days. I would rather be cynic than stupid to believe corruption free pakistan in 19days. Having said that, I will be more than happy for you guys to be proven wrong. A jester in the political landscape! khanjee, first get rid of the innumerable corrupt lot in your team ( those that were litetally rejected as corrupt and having fake degrees from pml-n have joined PTI). very defensive and non-rational way to start the discussion. Atique, kindly don’t refer to all the respectable commentators as ‘dudes’. Secondly, learn to accept criticisim. Corruption can be reduce only. Why is everyone so shocked when IK says that? The answer is paks dont understand democracy! Please read up on how true democracies have tackled such isssues within 90 days! You guys have been demoralised so much by the corrupt leaders u elect that u’ve stopped believing…. They’ve stopped u believing! Every dream starts with a dreamer. PTI will end corruption and terrorism in 19 and 90 days respectively by legalizing them. At this rate we can become super power within his 5 years term. In the next 5 years term, we can conquer all planets of the solar system. Now it has become 19 days from 90 days! This man is either a genius or he is completely nuts. The bureaucracy? IK will discover to his shock that the most powerful institution in Pakistan is NOT the army, but these guys. NOTHING moves without their moving it; only they know the rules and regulations and ways to get around them — legally and illegally. That is why I say I hope IK gets a nice position in the next government and then he will learn a few home truths. I am sure those in his party who are more realistic and know the ropes must be cringing everytime he comes out with another bombastic and immature statement. They must be begging him to calm down. I wonder how long he will take to “fix” the economy. Any time-line on that, Sir? Why not throw out a date on that as well while you are on a roll! mentally we have started to think negatively it is about time we start to think positively. Corruption cannot be eradicated. Tough measures can be taken in 19 days to check high level corruption. Or the pied piper from Zaman Park. One might in bonhomie believe if Khan alleges, that he can stretch straight the tail of a dog in 19 days and end the corruption in Police force within 19 centuries! Milmila kar khana is in meanwhile the cultural heritage of Pakistan. All four wheels of the State of Pakistan are flat and punctured, eaten through from the corrupt and greedy minds of the people. Either politicians or young talented cricket players all are afflicted with corrupt minds. This self-proclaimed “leader” makes me laugh. Khan sahib couldn’t produce even a single leader out of his 15 years of Movement and he’ll end corruption in 19-days. Are you kidding me? We need a practical leader, not a person to gain popularity on TV-shows by giving such statements. IK, Pakistanis are not dumb. They just trust and believe whatever anyone says as a starting point. Please no more slogans, rhetoric, unrealistic claims promises. They hear these already from left and right and they are all tired of it. No doubt you are honest, committed to Pakistan’s well being but you are HUMAN. Please make only humanly possible promises. Talk is cheap. Show actual plan and steps that can be easily audited and verified as possible. Nations develop with the help of a sincere,middle class educated team not with an individual , why you included criminal people and v v rich people in your party ? Yep – corruption will end in 19 days, terrorism in 90 days. Balochistan problem will be solved in 100 days. By completion of 120 days Kashmir will become part of Pakistan. By 150 days unemployment problem will be solved and as a result by 180 days (when the people get their salaries ) the poverty rate will become 0 in Pakistan. By 210 days illteracy will become hisoty. After that, Imran Khan will focus all his attention on coaching the Pakistani team for the next world cup. To Finish corruption in 19 days is very much possible if he gets elected and if he takes concrete steps against some top dogs,the rest will automatically surrender I guess!!!! I can already imagine the firing squad…. Give him a chance. He couldn’t do any worse then the present government. But you think people would listen, no they would probably end up voting for a leader who has already proved that they are corrupt and think that being the ruling party in pakistan is a birth right. in 19 days? HAHAH what a joke! i’ll give you 19 months and I guarantee you it wont end. I would suggest you should do both , only that would reflect the true craziness of the statement. Running a country and a cricket team are entirely different matters. 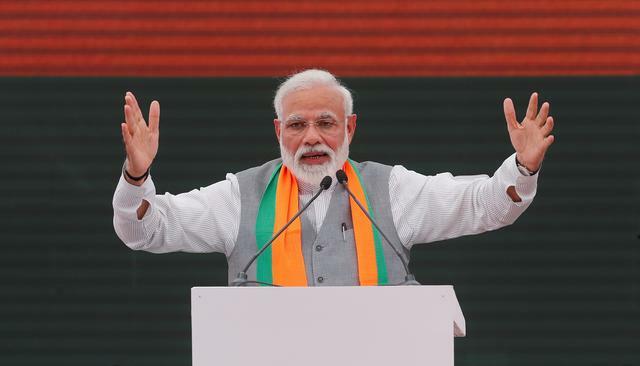 Claiming to eradicate corruption in ’19’ days seems nothing more than a demagoguery. PTI must (and should) flourish but making unrealistic claims at a nascent stage might dent its credibility. In how many days is he promising to give you Indian Occupied Kashmir as well? Imran means he will first end high level corruption in 19 days. He will start from himself and all his cabinet members and govt officials will follow suit. That he will do to make other follow the same. As for terrorism he will announce end to this war on terror pull back troops and start a political dialogue with all elements including Taliban and other factions. Indeed getting rid of corruption at lower level is not possible but it can be minimise to the maximum. Energy and gas crisis will be tackled accordingly. It may be premature to say whether Imran can do what is claiming but he will sincerely try his level best he is an honest and sincere Pakistani. 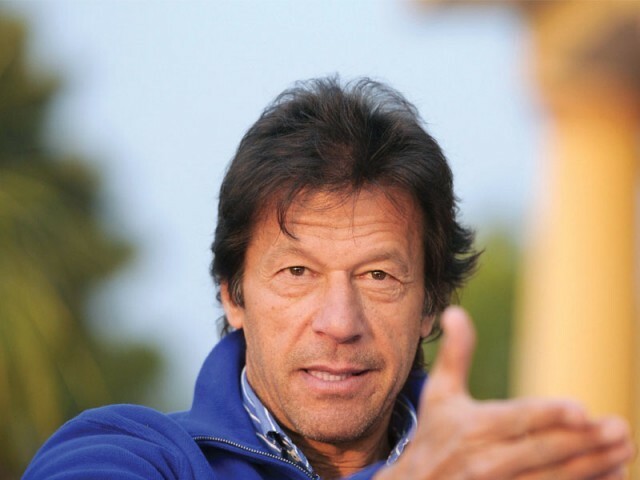 I believe in Khan.he has proved himself time and again.I am sure with honest person as khan in power he can end corruption in 9 days inshAllah.there is nothing impossible if u have will jazba and junun and believe in yourself.Pakistan desperately needs a true person like khan who is not power hungry and want to see his country prosper. may be you should listen to his energy policy before commenting. Q1.How to end mega corruption in a few days???? Ans: It is simple and can be done by implementing following 3 steps. a. Appoint professionals with integrity for all corporations i.e PIA, PTCL, Steel Mills, OGDCL, PSO etc. b. Appoint the minsters who are not experts of their fields and whose integrity is well known. c. Create an autonomous and highly powerful accountability commission who can investigate any state organ ( army, judiciary,politicians etc). Q2. If it si so simple then why it has not been done so far? Because NO has the will except Imran because for these actions you have to be clean yourself and then have to have a will to change things. All other parties small or big want their share in corruption and will never support such steps despite having multiple chances in govt. They will bend backward to get their relatives/ friends to be appointed at key positions…..
Maybe someone should update Imran Khan on local issues. Pervez Musharraf is not in office for the last four years. It is Zardari who has been running the show for the last four years.So, please point fingers in the right direction. Genius, I do not think so; nuts may be and also little delusional! Without spelling out any workable plan this chap is promising to end every misery Pakistani nation is facing! You have to admire Kaptaan’s guts and at the same time think about how did Oxford failed so miserably (to produce such a nut case as graduate)? If IK gets elected don’t be surprised to hear him saying that what he really meant was he would “start” ending corruption in 19 days and “start” ending terrorism in 90 days. Now I know for sure that ET has serious agenda against PTI !!. Forget about 19 or 90, would you please bother to report what was presented in 5 hours seminaar !! I guess IK forgot that he will have zippo representation in the senate for at least 3 years. Now if he has a slightest idea of how a bill is passed in Pakistani legislature, he will stop amusing all of us with his jokes. My guess is soon he will replace santa and banta in the jokes. Pakistan people are not dumb. Lets see we made and ex prisoner the president, then we forgave all crimes commited by said prisoner and even the opposition. Then we got the prisoner in chief running to the US for help against a coupe. Yean we are real bright. i am launching a new party called PIT and i will eliminate corruption in 17.5 days and end terrorism in 89 days. so vote for me. please. If people were doing it nobody would be saying it can’t be done. Catchy, but not quite as profound and inspiring as you probably intended. …What has he proven? The only thing I can think of that he has delivered on are rallies. End Corruption in 19 days, terror in 90 days? Even the most developed countries could`nt end terrorism and khan sahab can end it in 19days? & Terror in 90 days? Oh, only fools believe you Mr. Imran Khan. I’d be praying that you can actually root out, “corruption in 19 days and terrorism in 90 days”. I would even wait for 2 years but it is “easier said than done” me ol’ Captain. And if PTI does not then?. The nation has been fooled enough! Yes PTI can do this only ! Any thing can be possible, only we need blessing by Allah. I heard his speech.The 19 was a slip of tongue.He meant to say 90 for both.That’s what he has been saying for quite a while now.I hope no one starts criticizing him on the 20th day of his government. Imran Khan is a dream merchant who should be backed for dreaming big things for well-being of Pakistan. A person who dreams big can only achieve the same one day irrespective of the time frame stated by him. Best wishes to Imran for fulfillment of his dreams. You will by the grace of Allah. Lol… and where is solution? Assalam-o-Allaikum Warahmatullah.Imran Khan must be given a chance to prove his claims and statements and see how much more he is true,trustworthy and practical in his words or he also is playing tricks with the nation as the other politicians have been taking from a long time but unfortunately and unluckily the other politicians gave hypocritical statements and badly failed to prove their statements true and practical.The most especially importantly Pakistan has been the test laboratory of all kinds of politicians. what a joke ! I aint going any where ! I hope your optimism prevails. Everything is possible to a young, enthusiastic mind and that unfortunate experiences of growing makes one a cynic, doubtful. I would hate to know you joined us(cynics) on 20th day post-election. Best of Luck Imran Khan! We are ready to give u the chance to do it! You cannot eliminate corruption in Pakistan. Pakistanis are corrupt to their bone, rich, poor, or middle class. Sad but true. We all want others to stop being corrupt, but not ourselves. Become the change you want to see in the society. If Pakistanis do not want corruption in their society, they should stop being corrupt and stop tolerating it in their midst. Please read the small prints appearing after magical letters 19days and 90days which I think starts like! “Terms and conditions apply”. Good luck. @Curious: ET did not cook up this story. IK really said all these things. Don’t shoot the messenger if you don’t like the news. Have we ever thought that why every government which comes into power soon after taking oath starts appointing its own people in all government enterprises and state run institutions?These direct appointees are given targets to fill the coffers of the executive through illegal means. In simple words it is mafia style governance, every area is sold and every area don is given tarts to achieve. Its not hard to end such corruption, all you need is an honest chief executive who does not have a goal to fill up his swiss bank accounts. And a party which raises its funds directly from the people not through illegal means so that when it comes into power it doesn’t have to take kickbacks or extortions to keep the party going. @junaid atique: Get rid of corruption in 19 days?? That statement sounds ludicrous even by Khan’s own standards ! The man is getting carried away with the success of his ‘jalsas’. I welcome Mr.Khan and I think Pakistan needs change but I feel IK is getting too egotistic. He’ll end corruption in 19 day, end terrorism in 90 days, and start blaming foreign conspiracies in 7 days for not being able to end terrorism or corruption as promised! May be he wanted to say 9 ! @Ahsan Mlk: Get up please, don’t see dreams in daylight. This is the very cruel fact that corruption has increased after every promise to eradicate corruption. As I have been watching Pakistan politice since last 40 plus year, I don’t belive that cooruption can be uprooted from pakistan even in 19 years. As most of IK supporters are young ones and belong to mummy dady group, they don’t know the buerocrancy, without greasing right balms in 19 days you cannot get your bill passed, we are told that corruption will eradicated. The end will be forever or will there be a restart on 20th and 91st day respectively??? He is silent on that. If corruption ends in 19 days, the people will die of suffocation in a corruption-free country on 20th day. Pakistanis just don’t know how to do things honestly. @meekal ahmed: I dont know why you underestimate what a honest man at the top can do maybe it is because we in the sub-continent have had dishonest men at the top since 1947 . If we have had a honest man at the top the power center has been elsewhere so he has been in effective.Just imagine what a honest man who does not have look over his shoulder can achieve.Small things can make a big difference take for example if everyone is educated ,motivated and if need be coerced into demanding a bill for every purchase that you make pl think what a impact it would have on the country’s economy. Mere claims are not enough. I have said it before & will say it again. The PTI must give out a Road Map of all its claims if it wants to win the Elections and change the face of Pakistan. It needs burning the night oil, brainstorming and give clear cut solutions to our problems. The Foreign Policy on Afghanistan & US is full of holes. Mere saying that we will be shoot down the Drones, Stop the Supply is not enough. What will happen next. What will be your Policy vis a vis the US. Are you prepared to face the Unilateral Sanctions by the US & Europe. What if the ISAF decides to take you on.Are you prepared for the War. What is your take on Mullah Umar. Lots of questions have to be deliberated & answered. Do not just fire in the Air. To his critics – Imran Khan said 19 and 90days and did not say immediately after forming government; so i guess Pakistani’s should wait until four & half years of his rule. When IK makes ridiculous statements like this, is when I become ever more convinced that he is just another politician. Pakistans problems are deep-rooted and complex, they will never be solved in a matter of days by anyone. You can laugh all you want, but just remember that the Shaukat Khanum hospital was also ridiculed as an impossibility back in the day. Imran Khan may be a dreamer, but he will do his damndest to translate his dreams into brick and mortar, which is more than most of us will even attempt. End of Corruption in 19 days and terrorism in 90 days!! waaaaaoooohhhhhh! I totally support PTI, however these numbers seem like lucky numbers and not real numbers..
Khan Sahib, after listening statement from any politician, people think too much, so please think 100 times before you commit anything to the people…. Actually Pakistanis are dumb, because they vote for corrupt leaders in every election. Hahahahaha, really dramatic change it will be. Uprooting corruption means, kicking out corrupt/incapable key high-ups and installing a new breed of honest and relevant professionals in their places (with a definite trickle down effect) and that can probably be done in 1 day through an Executive Order… 19 days is way too many for me!!! All things can corrupt when minds are prone to evil..
IK please stop helping this nation, we as a nation have become so corrupt that we will never support and we don’t care if our children are dying of hunger or without shelter or we are destroying or looting or motherland.